Brilliant Barca kicks us off, with a truly European medley of booze cruises atop the swirling swells of the Balearic Sea. Start by shot gunning tiny cans of cerveza with your new group of drinking pals on the shoreline of bustling Barceloneta Beach. Then it's onto the whitewashed flat-top boat and out into the wide bay that faces the city. Revellers enjoy out-at-sea playgrounds of inflatables, and deck-diving opportunities. And then the drink begins to flow from the on-boat bar and the games start. You'll see first-hand why this great capital of Catalonia has a rep for being wild, risqué and ready to party! Croatia's number one tourist destination is also one of its booze cruise kingpins. Ranging for more than 60 kilometers from north to south along the rugged coastal reaches of impossibly-beautiful Dalmatia, the area certainly has no shortage of places to hit the seas and party. Most of the organised trips will depart from lively Makarska town itself, but LBW have a fine solution to waiting in line: our very own yacht! Yep, why bother squeezing onto a beer-stained skiff when you could enjoy the luxury of our whitewashed sailboats on YachtLife Croatia? They tour this region and offer a booze cruise in the shadow of the Dinaric Alps virtually every night! Just around the corner from Croatia, the beautiful islands of Greece have their own booze cruise offering. Perhaps none are more enticing than on Mykonos; the most party-mad and hedonistic of the whole Aegean Sea (sorry Rhodes, you did come close!). Take the day to sample Greek salads and perfect seafood in the town's Little Venice, hit up Matoyianni Street for some early bevvies, and then take to the seas for a bout of wild partying as the sun dips behind the outline of crumbling ancient temples on historic Delos in the distance. Our all-new YachtLife Greece could be your ticket there this summer? Nha Trang ain't the self-proclaimed party king of southern Vietnam for nothing! Nope, this one's sports bars and beachside dives on the edge of the South China Sea are the staging point for some of the most hedonistic and raucous booze cruises in all of Southeast Asia. They are famed mainly for their wild power hours of unlimited alcohol: beer, wine, whiskey, gin, that local arak stuff nobody seems to drink. And then there are the on-boat drinking games and karaoke sessions, followed by a sleepless night on the town! If that sounds like your kinda' thing, then it's just worth mentioning we pass this way on our acclaimed Vietnam Explorer trip. Home to some of the most legendary backpacker booze cruises to come out of the sprawling Vietnamese capital of Hanoi, this vast, UNESCO-protected area of soaring karst rocks and jungle-dressed mountaintops, shimmering turquoise seas and salt-washed villages on stilts, surely has to be one of the world's most amazing places to party up on deck. In the early hours, you can dive from the boat and swim in the crystal-clear waters, spying out more than 200 species of fish and the multi-coloured coral gardens. And as the evening closes in, and the iconic limestone needles of Halong glow red and ochre against the South China Sea, you can crack the brews and watch as the coastal peaks turn to silhouettes in the darkness. Wowza: there ain't many better backdrops for a couple of cool brewskis in the evening than the looming outline of the Sugarloaf Mountain, mighty Corcovado and the silhouette of Christ the Redeemer. And there surely aren't many better places to pre-drink during the day than on the sands of one Copacabana beach! Well, there's all that and more on the menu for travelers who opt to booze cruise their way along the Atlantic coast out of Rio, not to mention meticulously-mixed Caipirinhas like you've never tasted before! Our second pick from sunny Croatia comes in the form of yacht-peppered Hvar. This historic island and town that proudly rises itself from the sky-blue waters of the Adriatic Sea turns into a veritable party madhouse during the summer. There are champagne bars and swish cocktail joints fringing its cobbled streets, and wicked clubs sprawled over the clifftops nearby. Booze cruises are aplenty too, and groups of revellers with chilled beers and ice-rattling gin and tonics can be seen departing from the jetties on little pontoons from the early afternoon onwards. And while that sounds fun, you could change things up and go for a little luxury, by choosing to booze cruise your way for seven whole days on LBW's YachtLife Croatia instead! It should hardly come as a surprise that the bona fide Spring Break mecca of Mexico comes up trumps with some pretty downright wild shindigs on the sea. Tequila flows and the tunes of mega DJs mix with electro Mariachi, all whilst the shimmering swells of the Caribbean slosh against the side of your vessel. In fact, even without the drinking, these trips would be one darn fine way to explore the Yucatan's multi-coloured coral reefs and snorkelling hotspots! Cancun's booze cruises get super packed, so be sure to book in early. Eastern Europe certainly has a hedonistic edge. Just take Budapest's now-legendary ruin bars (Szimpla Kert and Instant are just two of the best), or the endless array of al fresco beer dives and al fresco clubs that erupt along the meanders of the Danube here by summer. And talking of the Danube, and talking of summer for that matter, there are also regular booze cruises that depart from downtown Buda (the eastern side of the city). Be sure to pick the right one, so you don't end up sipping fine Tokai wines with Mozart playing in the background. We prefer unlimited-drinking power hours and live DJ shows on the water. Cue the Land of Smiles. 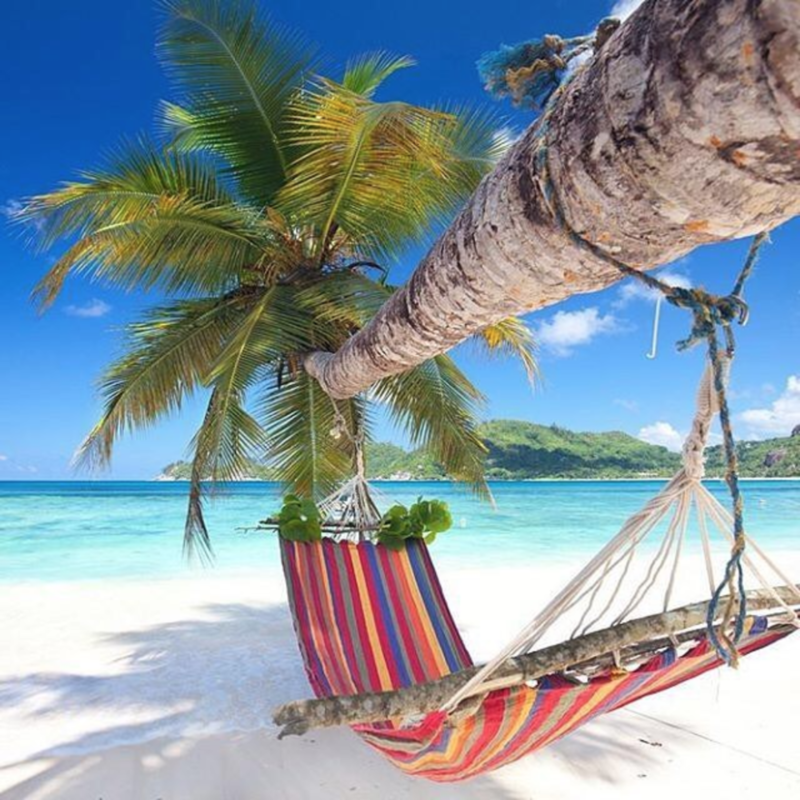 Come on, what booze-fuelled, sea-based party adventure could ever bypass this paradise? We've gone with Phi Phi as one of the top Thai spots to take to the seas and guzzle the night away in a haze of cocktails and EDM shows for oodles of different reasons. First off, there's the island's medley of awesome beach bars, offering great pre-drinking places. And then there's its medley of raucous nightlife (Apache Beach Bar, we're looking at you! ), which are perfect for carrying on the shindig until the sun comes up. 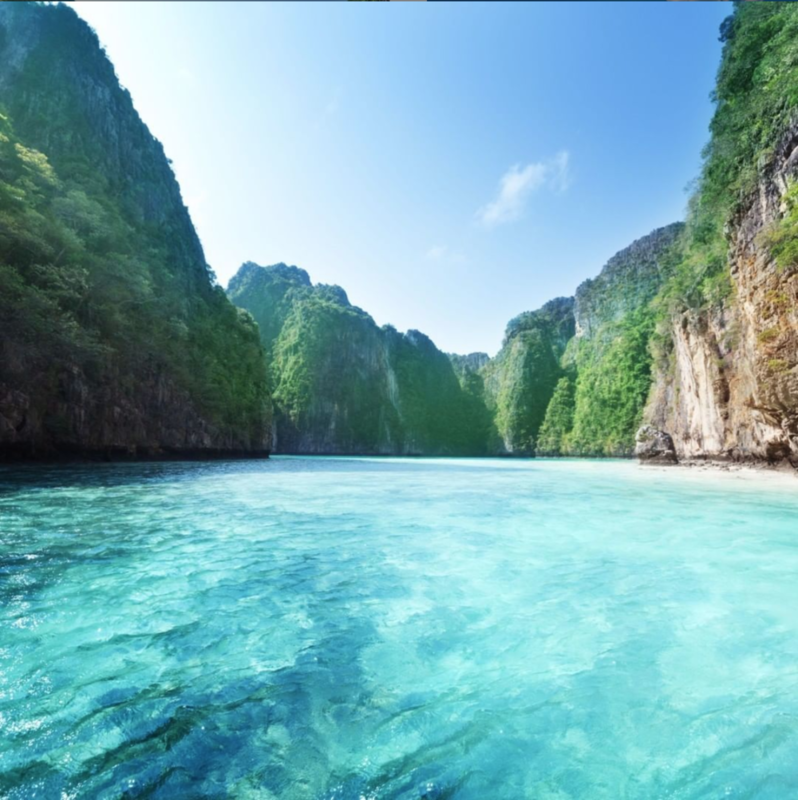 And that's not even mentioning the awesome scenery of the archipelago, which soars like a monster of jungle-clad rock from the aquamarine shine of the Andaman Sea. (Oh, and we do come here on our Island Teaser West trip, just sayin'). Have you let loose on another famous booze cruise somewhere else on the planet and simply have to share it? We'd love to hear in the comments below. 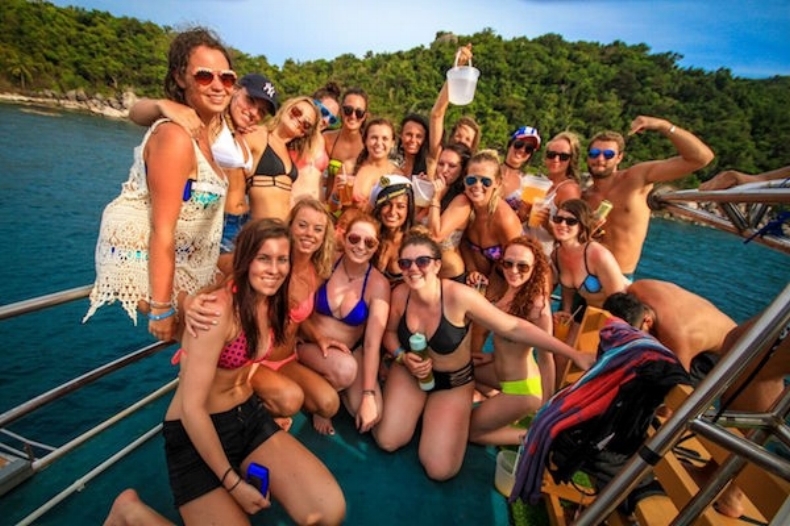 Or, if you think it's time you took to the seas with a brew, why not check out LBW's itinerary page for some awesome booze cruise opportunities!